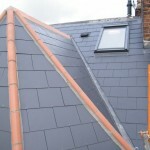 This large residential house had been converted into 3 flats. 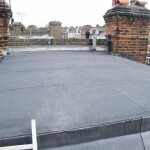 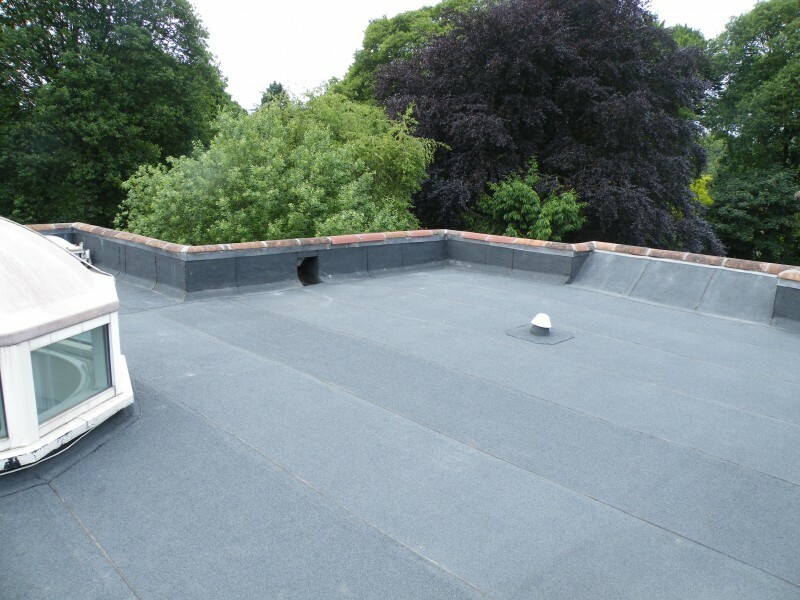 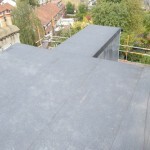 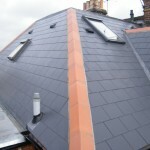 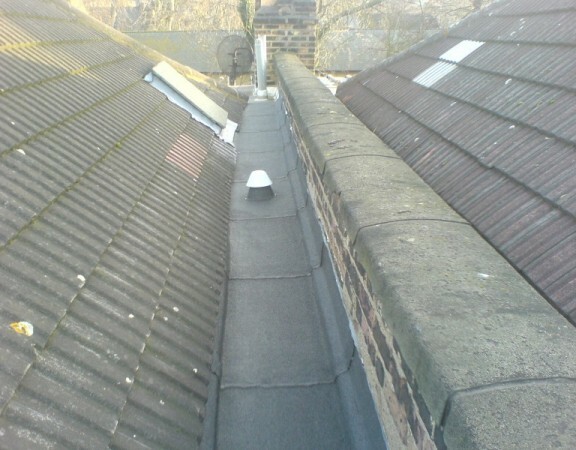 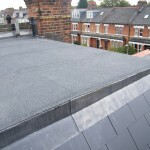 The roof of the property was the original and was in need of complete replacement. 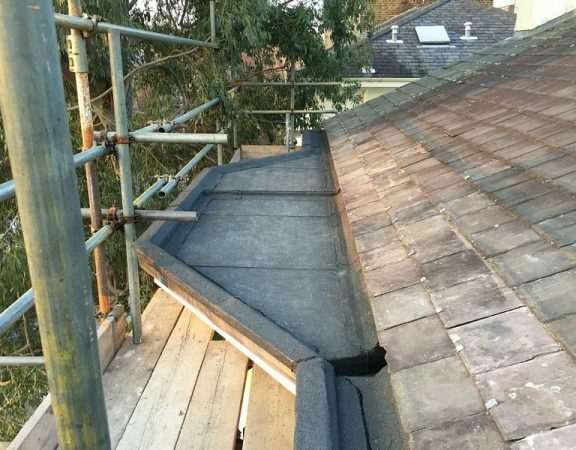 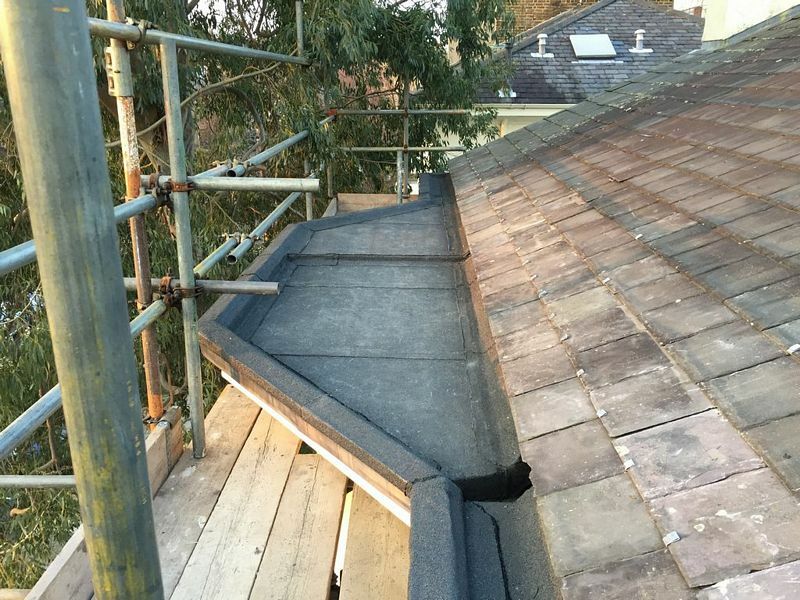 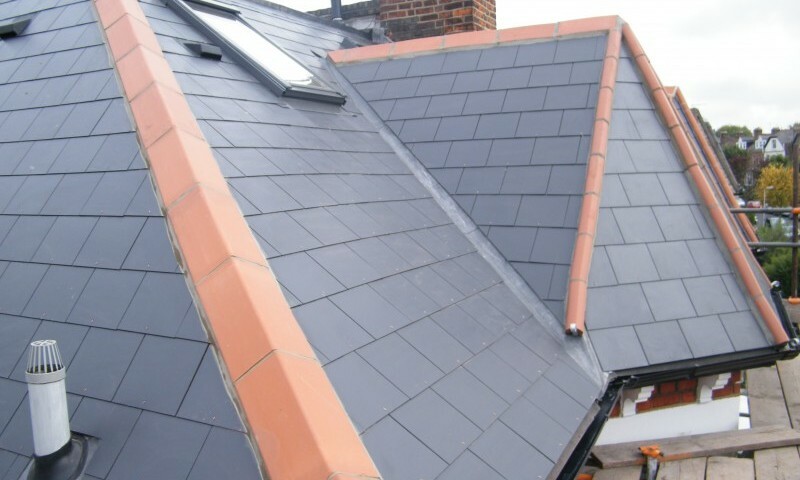 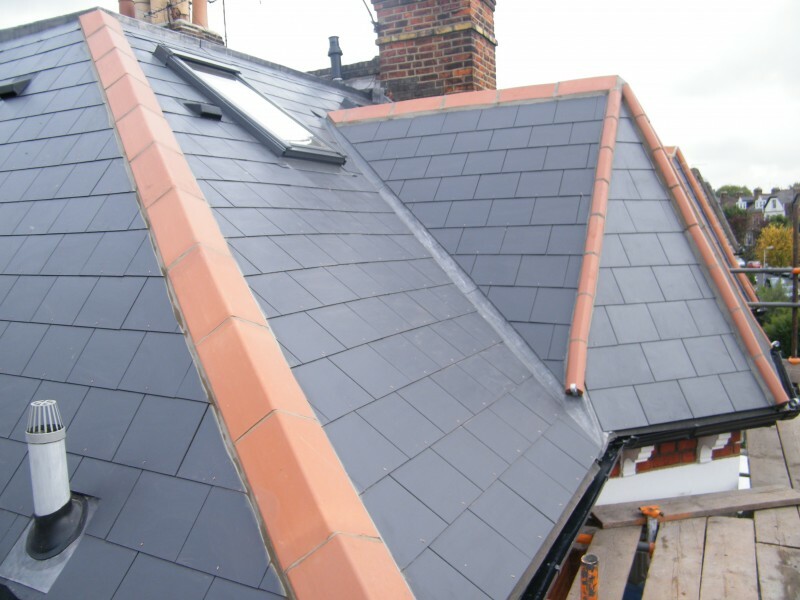 The roof was recovered with Eternit Thrutone slates, 3 new Velux windows were installed, the crown roof was insulated then covered with an Index three layer felt system. 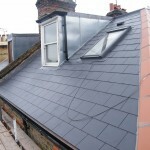 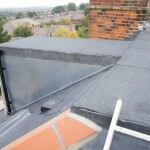 The side parapet vallet gutter was repalced in Zinc as too were the dormer sides.